The Heritage Lottery Fund have created so many opportunities for the public to enjoy! Our charity is focused on conserving the rich heritage of Lincolnshire. This is for the benefit of all people who live, work and visit here. 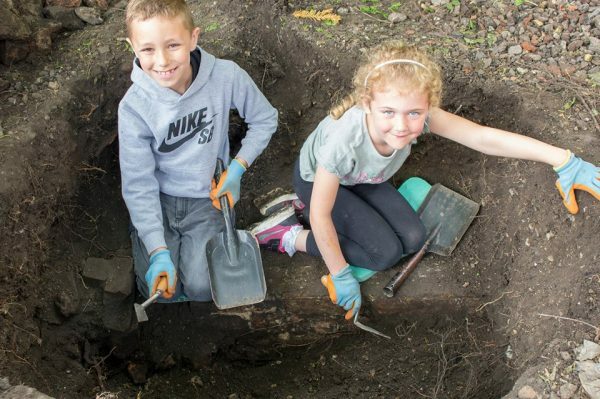 From education and enjoyment, to archaeology, to heritage led regeneration – projects funded by the National Lottery help us to fulfil this goal. Winterton All Saints Church approached us to create a series of workshops based around local Roman history. This was to help celebrate the completion of the church building works, funded by the Heritage Lottery Fund. Using these resources, the church invited the local school into the church. Through this the children discovered their local history, in addition to exploring and benefiting from this new space. We have also worked with the Lottery Funded Isle of Axholme and Hatfield Chase Landscape Partnership. With them we have been helping adults in the area learn about the historic environment in which they live. This has ranged from courses on historic buildings to documentary research. We even had a fantastic summer of field walking, geophysics, finds washing and metal detecting! We also helped Belton All Saints Primary school with their archaeology week. Such as teaching students about archaeological technique, and helping excavate their playground. We held the celebration of our first full year on the project last week. It was fantastic to see so many people, all of who wanted to know what they would be doing next! Bringing people together, giving them new skills and making new friends are just some of the benefits of National Lottery funding. 750 years ago the port of Boston was second only to London in status. This was because of Boston's trade with the Hanseatic League. These powerful merchants traded in ports across Europe, such as present day Poland, Lithuania, Latvia and Estonia. Boston traded large amounts of wool through them, and used the wealth derived from this to finance the building of the Stump and Guildhall. Another Heritage Lottery funded archaeology project that we have been involved in has been the Wisbech Townscape Heritage Project. 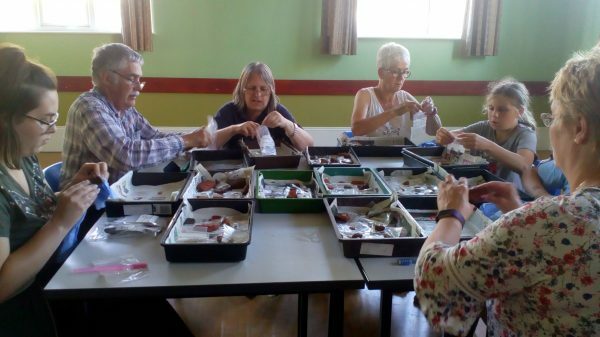 With our help, they have been excavated the towns museum garden, uncovering Roman earwax scoopers, Georgian blue glass pots and some beautiful bottle that some of our older archaeologists could remember from childhood! Without people playing the National Lottery, the people of Wisbech would never have had this chance to discover the history of their town and high street, all whilst learning new skills. With our help, the Bourne Town Hall Trust plans to restore this Grade II listed building. They hope to turn it into a public arts centre for the town and its local villages. Therefore, they sought an early stage fund from the Heritage Lottery Fund, in the form of a £10,000 grant to help establish the charity and cover legal costs. Heritage Lincolnshire have worked with the Trust to produce a programme of training and advice, helping Trustees to build their knowledge and helping them to lead the work being done. This will form the first study into the future of Bourne Town Hall. For instance, training has included how to manage a heritage project, historic building and how to engage the public. This is vital work that will ensure this historic building remains part of the local community. 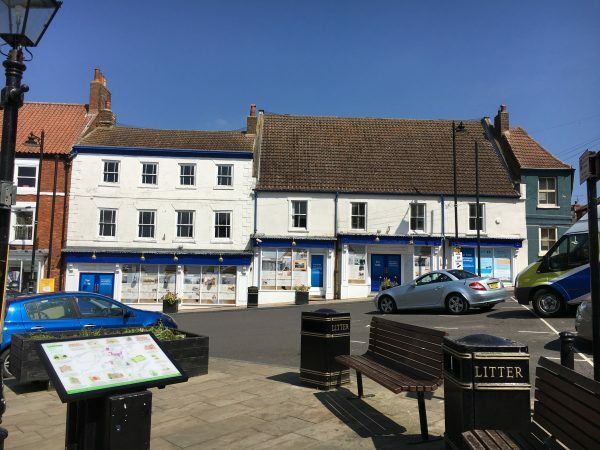 2-4 Market Place are grade II listed buildings at risk and is of national importance in the centre of Caistor, a historic market town. However, local people have worked alongside Lincolnshire Co-op and Heritage Lincolnshire to save the building. Funding has been secured from the Heritage Lottery Fund and the Architectural Heritage Fund to help set up the community benefit society called the Caistor and District Community Trust. The Trust will work alongside the owners to move on the next stage of the project. This will consist of finding funding to commission Heritage Lincolnshire to put together the project design and to produce fundraising bids for its delivery. With funding from the Heritage Lottery fund, derived from your lottery tickets, the people of Caistor would not have had the support they needed to take ownership over their heritage. Thank you to everyone who plays the National Lottery - without you the Heritage Lottery Fund would not be able to give to these projects. Communities would not be able to engage with their heritage.